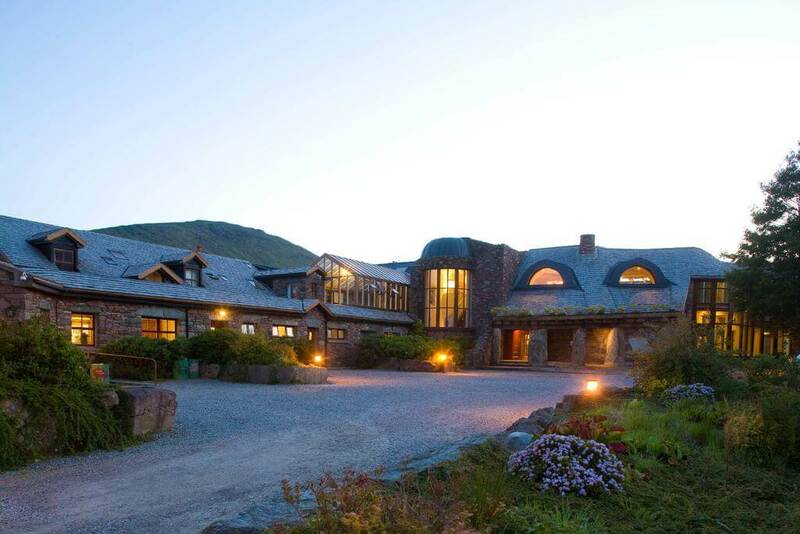 Stunningly located on a 300-acre estate in one of the most beautiful and unspoilt areas of the west of Ireland and eleven kilometres northwest of Leenane on the road to Louisburgh is Delphi Mountain Resort, a sensitively designed 4 star luxury hotel, restaurant, spa and adventure centre. The resort re-opened under new management in 2008. 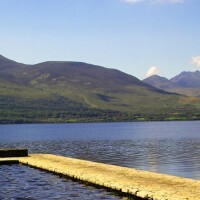 It is now owned and managed by husband and wife team Rory and Aileen Concannon, who emphasise its remoteness and aim to make it a complete away from it all experience for guests. The main building is an environmentally friendly blend of stone and wood, all recently refurbished, and the comfortably furnished bedrooms (especially those at the back) have beautiful views; the suites have a loft bedroom over a downstairs living room and all have either a window balcony or patio and locally made organic bathroom products. In addition to the adventure centre and spa facilities, hotel facilities include a full bar and restaurant on the first floor. Spa (sauna, steam room, jacuzzi, massage, treatments); walking, archery, cycling, cookery classes. Equestrian, fishing (fly) & scuba diving all nearby. Error: Error validating access token: Session has expired on Monday, 22-Apr-19 15:56:05 PDT. The current time is Tuesday, 23-Apr-19 08:58:23 PDT.